Exilion has agreed to purchase the VR Group head office located in the hallintorakennus (engl. administrative building) of the Helsinki Central Railway Station. 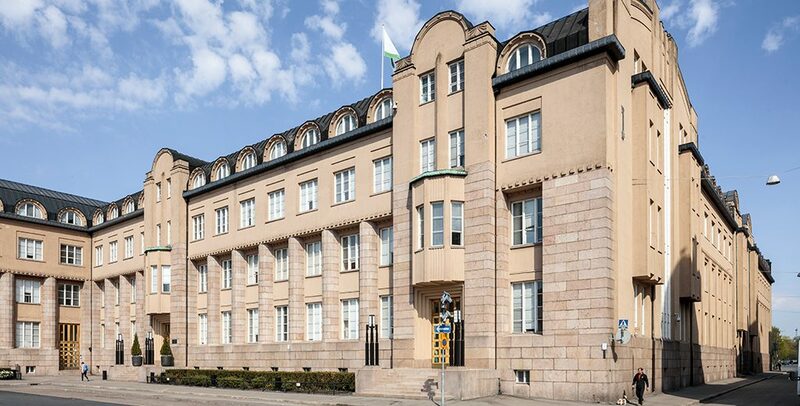 The new owner will be Exilion Asemahotellit Ky, a limited partnership managed by Exilion Management Oy, and the company will renovate the building for Scandic Hotels Oy to be used as a hotel. Exilion Asemahotellit Ky is owned by Elo Mutual Pension Insurance Company, the State Pension Fund of Finland, and Veritas Pension Insurance. The total value of the project will amount to approximately EUR 130 million. The hotel to be developed will cover an area of around 25,000 floor area and, with nearly 500 rooms, its capacity will be one of the largest in Finland. VR Group will vacate the premises in spring 2018, as the company will transfer its head office operations to the Iso Paja building owned by the Finnish Broadcasting Company Yle. After the move, the premises in the building will be renovated and converted to hotel use. According to estimates, the project will be completed and the hotel will be opened during 2020. The investment deal now made is the second for the limited partnership company, the first one being the hotel development in Tripla project in Pasila. The limited partnership company’s involvement in the projects means that the company is currently developing two properties with approximately 900 hotel rooms, and total investment amounting to around EUR 220 million. Exilion is one of the leading real estate investment companies in Finland. We specialise in large investments worth 100 million euros or more. The company is owned by Elo Mutual Pension Insurance Company, Veritas Pension Insurance, the State Pension Fund of Finland and the Åbo Akademi University Foundation.